With almost all space sold out, Indian Printing Packaging & Allied Machinery Manufacturers’ Association (IPAMA) is planning to extend the area for the show. 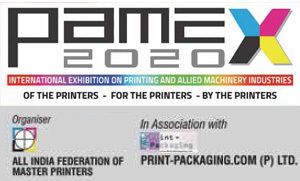 The Indian Printing Packaging & Allied Machinery Manufacturers’ Association (IPAMA) is organising PrintPack India 2019 from February 01-06, 2019 at India Expo Centre, Greater Noida. It’s heartening to note that almost all space has been sold out. The total gross area booked so far is around 35,000 Sq m, which equals to net exhibitors’ space of 19,800 Sq m. IPAMA still has more than 3 months in curtain raising ceremony of the event. 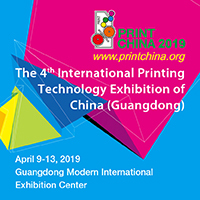 The total net area to be booked will be in the vicinity of 23,000 sq m. The net increase space booking during PPI 2019 will be around 40%, in comparison to PrintPack India 2017. As quality of visitor is the essence of any exhibition, IPAMA is hosting delegations from different countries like Nigeria, Egypt, Palestine, Indonesia, Sri Lanka, Bangladesh, Nepal etc through a special program of incentives and discounts. IPAMA has participated in more than 60 exhibitions and events. It will definitely give an additional boost to the exhibition. IPAMA is committed to bring extra features to its member companies for the growth and development of the fraternity. 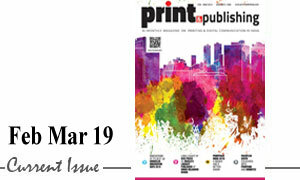 In the forthcoming PrintPack India, the online visitor registration is absolutely hassle free and complimentary. Visitors need not wait in queue for the badges. The online registered visitor has to simply carry the printout of the online registered badge. The visitors can directly enter in the exhibition halls from the respective gates. Even the e-badge will work out, subject to the original ID card. However, onsite registration is chargeable.